Everything on this website will always be free. 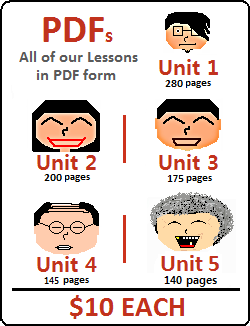 However, you may have noticed that we also give you the option of “buying” PDF copies of our lessons (as well as providing the PDFs for free). By doing this, you can help support the site financially. If you want to learn more about this, click here. 2) Find a mistake somewhere? Tell us! We are not perfect – we try to be – but we aren’t! If you find a mistake somewhere, let us know! It doesn’t matter where or what the mistake is, we want to fix it. You think we explained something incorrectly? Spelling mistake? 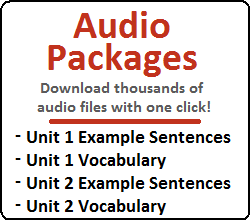 Audio not working? PDF not working? Link broken? The man and woman on the top of the screen start kissing? Let us know! We want this website to be perfect, and you can help us make it perfect! Nothing makes us happier than seeing people use our website. One of the biggest things that you can do to help is share our website with your friends. When we see that many people are using are site, we get more and more motivated to create content for you to use! Even a “Like” on Facebook will make us happy. 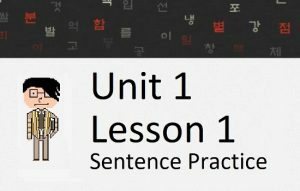 Anything you can do to help share this website with other people who want to learn Korean would be much appreciated! Let us know! Whatever it is, we want to hear it. 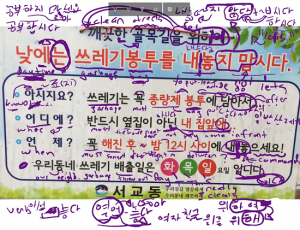 However, if you want to specifically suggest that we cover a topic in Korean grammar, you don’t need to let us know (well, you can if you want). Remember, everything you will need to know will be taught on this website. Suggest a topic if you want, but I guarantee you that we will one day cover it.